Balaton round trip, visiting the most beautiful part of Hungary. Siófok, Balatonfüred, Tihany, Badacsony, Szigliget, Keszthely, Hévíz, Fonyód, Balatonboglár, Zamárdi. Balaton round trip - For smaller groups, we offer an exclusive scenic minibus tour around the Lake Balaton, including the most interesting traditional cities and villages surrounding the lake. If you prefer to relax, pour yourself a glass of wine and enjoy the stunning landscape, hot springs, spas or visit historical places, castles or museums. Or if you prefer to spend your time more actively, you have a wide range of water sports to try and many concerts, musical events and other ineresting programs to choose from. Either you wish to lay back and relax or spend your holiday in an active way, you will have an unforgettable experience. Siófok, the charming little town is one of the most popular holiday resorts in Hungary. The population is around 25,000 but in the summer season, another 200,000 people spend their vacation here at the same time. Siófok is often referred to as the capital of the Lake Balaton, famous for its nightlife and the never ending parties. The city is often called "the party capital of Hungary", but it does not mean that, there is no option for other age groups. The city centre is full of life and color, there are many cafes, restaurants, galleries, famous buildings and peaceful beaches, beautiful parks and spas in the surroundings. The main attractions are Water tower, Jókai park - with a beautiful Japanese garden and English garden. Rose garden - Probably one of the most romantic places in Siófok right next to the pier. Statue park, Galerius Thermal Spa and Wellness Centre - warm (33-37°C) geothermal water that comes up from 1091 m deep, known for its positive effects on the skin and the bones. The Siófok Plage the main beach resort offers many activities for visitors, who wish to do something more than just laying on the sun. live concerts, excersise shows on the main sandy beach, bars, restaurants, dancefloors all around the resort. Balatonfüred is a small town with a population of 13,500. The tourism of the town started to develop centuries ago and has become a spa town in the first half of the 18th century, then it was immediately put in the limelight. Balatonfüred has been the first spas of Hungary and it also became the 'International Town of Grapes and Wine'. Its fame mainly originates from its mediterranean-like climate and mineral springs. Today the water of the mineral springs is used by the State Hospital for Heart Diseases for therapeutic purposes. There are numerous famous villas and mansions in the town, whose owners contributed a lot to the image of Balatonfüred with their presence and brought the town international fame. Among the architectural masterpieces of the 18th centuries you can find the Nagyvendéglő (Big Inn) which is called Hotel Anna Grand today, the State Hospital for Heart Diseases, the pump house built on the Kossuth Lajos spring, and the mansion of Széchenyi Ferenc, which all determine the atmosphere of the town even today. The town has numerous monuments, historical buildings and traditions. The most beautiful and well known tradition is the annual Anna-ball. (since 1825) The highliht of the night is a beauty contest, where the guests and jury choose the Beauty of the Anna-ball and two Maids-of-honour. .
Tihany is a jewel of - not only Lake Balaton but also - Hungary. Its main assets are the historical and cultural relics related to the monastery, the unique landscape and the recreational possibilities of Lake Balaton. Lake Balaton was formed by tectonic sagging around 25.000 years ago. Tihanyi-félsziget (Tihany peninsula) divides the lake into two basins. The characteristic view of the Mediterranean lanscape was formed by volcanic europtions millions of year ago as shown today by two giant calderas. The remains of these craters form two little lakes, without outlet, higher than the water level of Lake Balaton: Belső-tó, which is popular with anglers, and Külső-tó, a paradise for aquatic birds. Beside geological features, the peninsula is famous for its exeptional wildlife: the area became the first nature reservation of Hungary. The ancient village of Tihany was found in the Middle Ages when King Andrew I. founded a burial-place here for the royal family in 1055 and built a monastery, where Benedictine monks were settled. During the Turkish times, in the 16-17th century, the monasetry, which has been transformed into a fortress, was demolished. It was rebuilt in baroque style in the 18th century and became a symbol of Tihany. A few years ago, the Benedictine monks were again put in charge of the monastery and the Abbey Museum. Badacsony is one of the most beautiful Hungarian mountains. Its aesthetic value and its significance for nature preservation was acknowledged when in 1954 the quarrying works stopped and it was declared a landscape preservation district. The nearby basalt mountains are unique geological relics, and the habitat of many rare plants and animals. The "mountain" (which once was an active volcano) was formed when Pannonia was an active geologic unit. 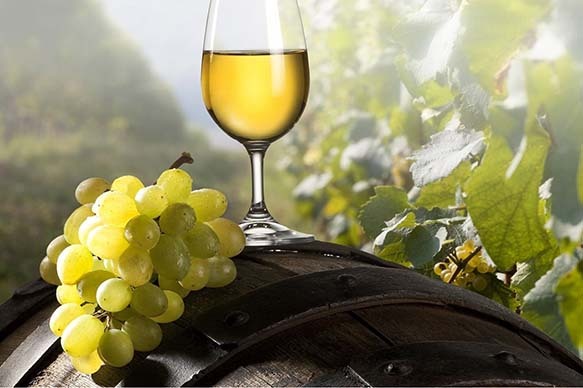 The Badacsony wine region was named after the Badacsony, which "witnessed" the reunion of man and nature through over two thousand years of wine culture. The vineyards on the side of the Badacsony, which dips into the Balaton like a peninsula, ripen their grape bunches in the sub - Mediterranean type of microclimate. The village can be found on the northern coast of Lake Balaton in the vicinity of Badacsony and Keszthely, running back over 750 years of history. The village was built between and on volcanic hills. The settlement existed in the Neolithic and Bronze Ages. Many historical buildings, ruins and other relics subsided from 12th century was found in the area and Celtic, Roman and Avar archaeological finds were discovered as well. Until 1822 the area was an island in Lake Balaton. The island was connected to the mainland in 1822 by rearrangement of the bank around Balaton. The ruins of the medieval fortress stand atop the 239m Várhegy hill. Recently restored, the castle looks out to the panorama of Lake Balaton toward the Tapolca Basin. Wherever we approach Szigliget the old castle unfolds from all direction. Castle of Szigliget is one of our few castles that never wore the Ottoman ensign on its towers in the Turkish times. Manful soldiers maintained their independence for 150 years. The destruction of the castle was caused by a lightning struck to one of its towers, where gunpowder was stored, and the building could not withstand the explosion. The town Hévíz is located near Lake Hévíz, the world’s second-largest thermal lake, but biologically the biggest active natural lake. Its temperature is affected by the combination of hot and cold spring waters, coming from 38 meters underground. The water breaks out from a spring cave, at approximately 410 liters per second, with a temperature of 40 °C (104 °F). The biological stability of the lake is shown by the temperature of the water, which has not changed for years and even on the coldest winter days doesn’t drop below 24 °C (75 °F). That makes bathing possible in the lake year round. In the summer, the water temperature can reach 37 °C (99 °F) As the Lake Heviz region has been populated since the end of the 4th century, BC., the unique lake was used as a spa throughout the ages. The present spa village started to form around the end of the 18th century, receiving further recognition and expansion in the early 20thcentury, when vacation houses were built, along with a bath house right on the lake. In 1992, the village became a town, which brought further improvements of the infrastructure, and marked the beginning of a through reconstruction of the bath section..
Fonyód is a town and holiday resort on the south shore of Lake Balaton, in north-west Somogy, western Hungary, with over 5000 residents. The first mention of Fonyód was in a letter of Saint Ladislaus from 1082, as the village Funoldi. In 1232, the village was included into the lands of the Tihany Abbey. Maps from the 14th century show Fonyód as an island (with Balaton being larger), with a castle. The castle was occupied and destroyed in 1575 during the Turkish invasion, with no one living in the village by 1580. After the Turkish occupation, Fonyód remained uninhabited until the 19th century. The construction of a railway around Lake Balaton greatly contributed to the village's development. Balatonboglár, in Hungary, is a resort town situated on the south shore of Lake Balaton. It is the professional centre of the Balatonboglár Wine Region, and is often called the "town of grapes and wine." The region has been populated for more than six thousand years. The area was first documented in 1211. The first bathing association was established in 1904, and Balatonboglár was declared a medicinal bath in 1912. Balatonboglár and Balatonlelle were unified as Boglárlelle from 1979 until October 1, 1991. The Xantus look-out tower, the symbol of the city, resides on top of a hill and is well lit at night. . In Zamardi, on the shore of Lake Balaton, there has been a pleasantly bustling resort life each summer since the beginning of the last century, because the place has so much to offer. Nevertheless, everyone of every generation can find a broad range of entertainment there. The frequent air movement not only makes even the hottest days pleasant but also gives the opportunity for sailing and windsurfing, too. This is also the place with the best view on the Tihany peninsula and the Abbey thereon. Several attractive, interesting programs are offered in this town during the entire summer season. Some say that the best thing about Balaton's south shore is the view of the north shore. If you want to find out whether this is true or false, the observation tower on Kőhegy is a great place to decide. You can get a clear view of the north shore from Balatonfűzfő to Badacsony, and you can also see the hills of Somogy if you just turn around. 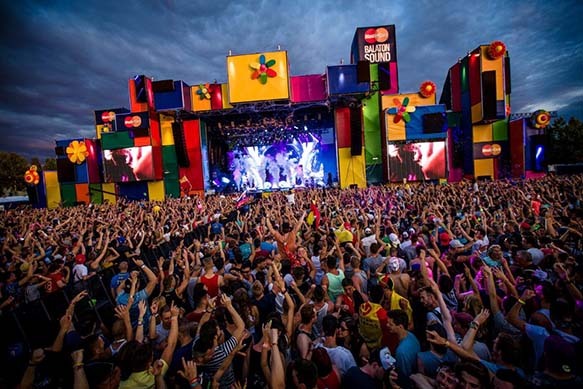 Balaton Sound is one of Europe's largest open air electronic music festivals. Held annually since 2007 on the southern bank of Lake Balaton, Hungary, it features live acts and DJ's from all around the world, from established artists to new names. 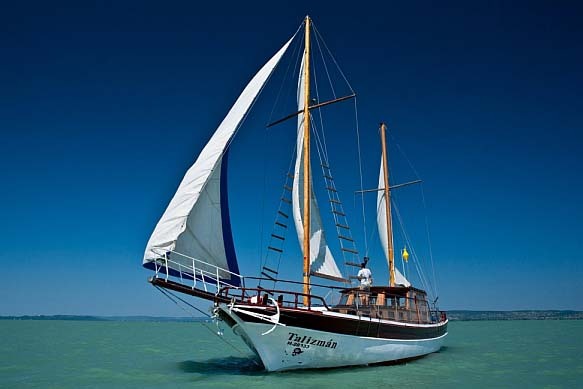 Lake Balaton is a wonderful place to sail small yachts. During the Summer months, the warm weather and gentle breezes are ideal for gentle sails to ports along the 200 km coastline of Lake Balaton. When the wind pipes up, then it's a completely different story and the flashing lights along the lakeside warn sailors that only experienced sailors with fin keeled yachts may stay on the water. 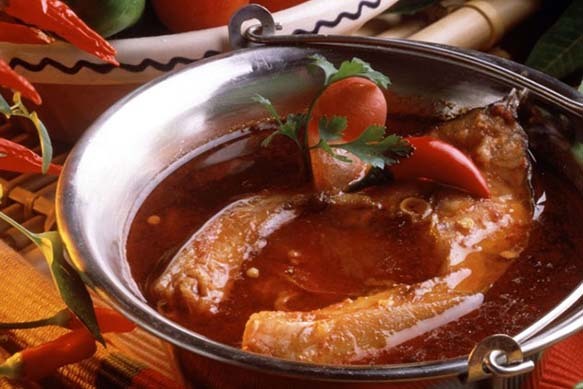 So called Fish soup, ‘Fisherman soup’ or ‘Halaszle’ is a hot, spicy paprika-based fish soup, originating from Central Europe as a dish of Hungarian cuisine. With its generous use of spicy paprika, Fish soup is undoubtedly one of the hottest dishes native to the European continent. The most common species are carp, catfish, perch and pike. There are 22 wine regions in Hungary, five of which are around Lake Balaton. Throughout the region, there are hundreds of privately owned wine cellars where the vineyard owners and their guests sample each others' wines and hearty country food. Many wine cellar owners also have restaurants and open their doors to paying guests. Balaton Sound is one of Europe's largest open air electronic music festivals. 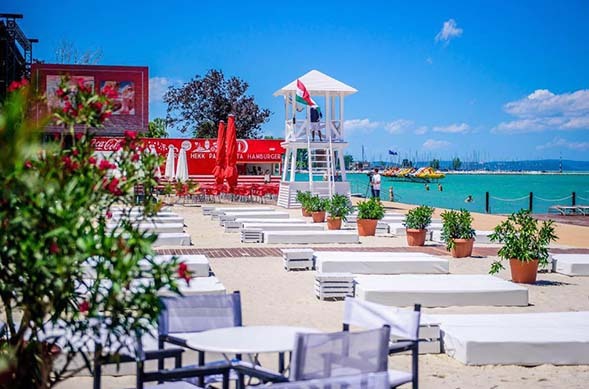 Held annually since 2007 on the southern bank of Lake Balaton, Hungary, it features live acts and DJ's from all around the globe, from world-famous artists to new names. It has become Hungary's greatest spare-time road-race programme from the beginning. 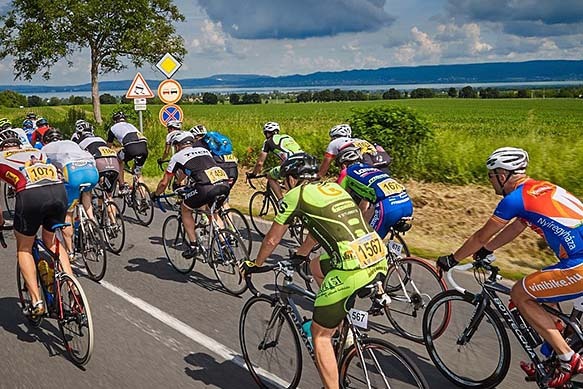 This international - 203 km long - cycling competition used to last for 3 days and was made up of 5 sections and the field cycled round Lake Balaton. There is a bit of Harley in everyone, in both you and us; the Harley is not just a motorcycle, but a way of life. It is freedom itself, a hint of revolt and a mighty roar. 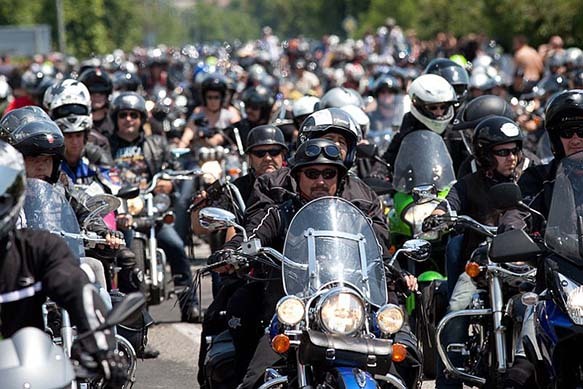 Visit te Open Road Harley-Davidson Festival in Alsóörs in June and see for yourself! 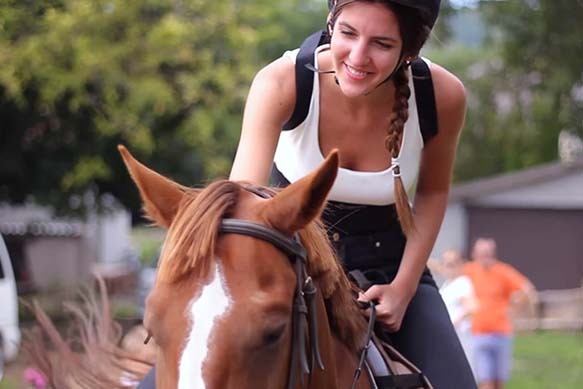 Horse riding in Hungary, at the Lake Balaton is very inexpensive and there are a large number of excellent equestrian centres to chose from. Certain centres offer camp holidays making it ideal for groups of children and adults alike to enjoy horse riding in the beautiful Hungarian countryside. 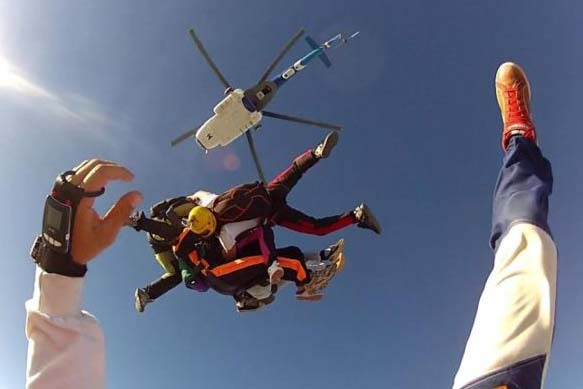 The Siófok ‘parachutists and skydivers’ village’ is a facilities complex in a green area in the southern part of the Siófok-Kiliti Airport specifically designed for the convenient execution of the skydiving operation. They provide diverse services here for the visitors. 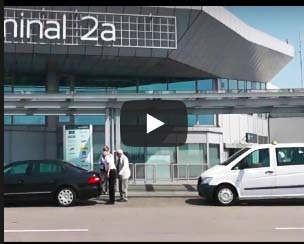 The airport displays the same values as Siófok itself: quality and good atmosphere, and the primary aim is to provide the conditions for leisure flying and quality pastime. All services are managed and owned by the same people who ensure the continuous good quality and development.